NOPA has published Trading Rules for the Purchase and Sale of Soybean Meal and the Purchase and Sale of Soybean Oil, since 1933 and 1930, respectively. NOPA has a Soybean Meal Trading Rules Committee and a Soybean Oil Trading Rules Committee. These committees are comprised of both sellers and purchasers of soybean meal and soybean oil and their derived products. It is the function of these committees to study the Trading Rules of the Association and, when modern commercial practices warrant changes, to promptly make such recommended revisions. Any proposed rules or recommended revisions that are initiated by the TESH Technical & Research Subcommittee or other Committees, bearing on the transactions of soybean meal or soybean oil, shall first be submitted to the particular Rules Committees for consideration and recommendation. The Trading Rules for both Soybean Meal and Soybean Oil have been amended numerous times since their initial adoption, in 1933 and 1930, respectively. Generally, such amendments have been technical in nature. 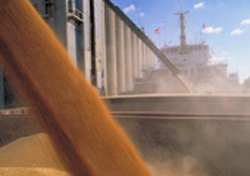 These Trading Rules for the Purchase and Sale of Soybean Meal and Soybean Oil are to serve as a guide only for transactions. It is understood that the parties to such transactions are free to adopt, modify, or disregard any or all of these Trading Rules.